Your dream is within reach. 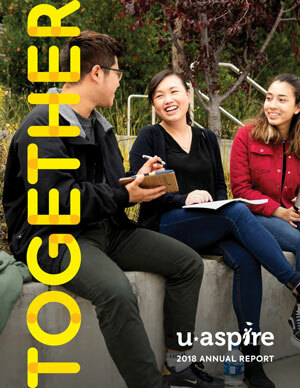 Have a uAspire advisor at your high school? Make an appointment. If you get texts from a uAspire advisor, you can simply reply to their message on your phone. Unsure how to get in touch with your advisor or have questions? Use this form to contact us. If you get texts from a uAspire advisor, you can simply reply directly to their message on your phone. Not sure where to start your college journey? There's a lot of information out there. Here we've collected our tools and the websites uAspire advisors trust and use with students.